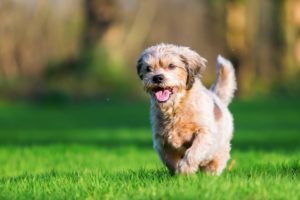 Pets are living longer now than ever before, thanks to improved veterinary care and dietary habits. 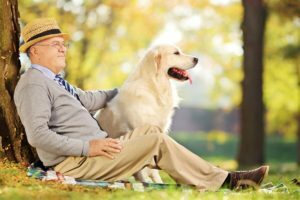 As with humans, advancing age in pets can bring on age-related conditions affecting health. Many diseases and health issues, when caught early, can be treated. Increased frequency of visits along with more in depth exams, including dental care, bloodwork, XRays, and specific assessments of physical signs of disease. Transition to foods that are more easily digested, with different calorie levels and anti-aging nutrients. Senior Dog Food is higher in fiber and lower in calories and fat, and is formulated for a slower metabolism. Dogs may slow down, but they still need exercise to keep them healthy physically and mentally. Try low impact activity, like walking on soft surfaces such as grass and, where possible, swimming. Regular dental care is especially important for Senior Dogs. Tartar build up can lead to gingivitis, which can cause bacteria to enter the bloodstream and negatively affect internal organs. Look for changes in eating habits that can signal mouth pain. 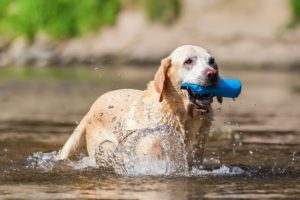 Try regular brushing at home and provide chew toys that are beneficial to teeth and gums, and schedule professional cleanings as recommended by a veterinarian. Weight gain or loss in older dogs and cats increases risk of health problems. Extra pounds on an older pet means more stress on its aging body, especially on joints and internal organs. Weight loss can indicate underlying disease. Maintain a vet-recommended exercise and diet plan, and replace large meals with a few smaller ones. As pets age, they may need adjustments to their living areas, such as not climbing stairs and spending more time indoors. Keep a watchful eye on challenges that weren’t there before. The best defense that a pet has against debilitating aging is YOU! Be vigilant about changes in pet bodies and behavior, and maintain a healthy lifestyle. With companionship, comfort and care, pets can age gracefully, too!